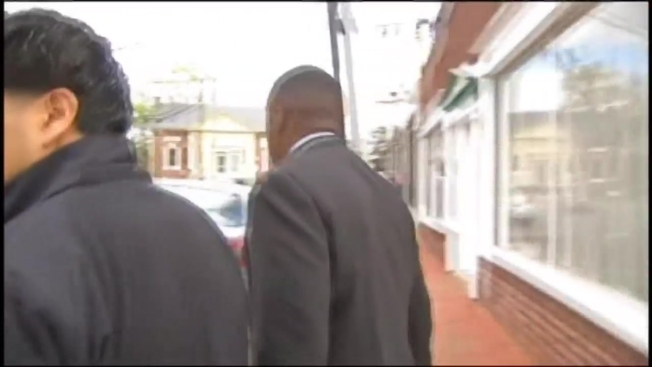 A Prince George's County Police officer who was convicted for assaulting a University of Maryland student in 2010 could get a clean slate. Officers James Harrison and Reginald Barker were accused of assaulting University of Maryland student John McKenna during a celebration. Barker was acquitted and has since returned to the force, and Harrison was found guilty. "He got 30 days of home detention and that's all he got," Terrell Roberts, McKenna's attorney said. John Erzen with the Prince George's County State's Attorney's Office said, "the jury really took their time to deliberate this one because one officer was acquitted and one officer was found guilty." Judge Beverly Woodard, the same judge who heard the initial case, ruled Harrison's second-degree assault conviction will disappear from his record if he doesn't break the law during a one-year probation period. He could even be a police officer again. "We just felt that it was not appropriate to take the jury's voice away and to basically overturn the conviction," Erzen said. There was concern during the first trial after it was revealed Woodard's ex-husband was the first Prince George's officer to be convicted of use of force in 1988. There was no mistrial because she promised to be fair. News4's calls to Harrison's attorney were not returned, but McKenna's attorney says the decision is a mockery of justice. "In a case like this, that received all this attention because of the gravity of the case, the importance of the case, merited some reasons for doing what the judge ended up doing and there was no reason given for this kind of action," Roberts said.